Kenyan banks have embraced mobile banking that allows their account holders to conveniently access various services from their phones. In the past, such services would have required the customer to physically go to a bank’s nearest branch. In addition to this two are paybill numbers which allow customers to deposit money from mobile money platforms into their bank accounts and also repay loans. The USSD code option tends to be the more popular option as it can be accessed on all types of phones without the need for internet. It however still attracts charges from the mobile operator in addition to those the bank may charge for accessing various services. 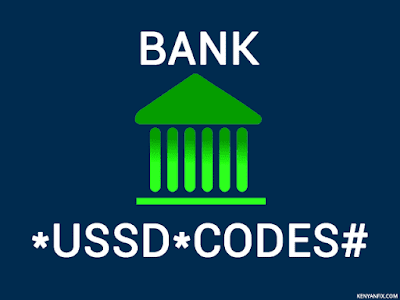 These codes are unique for each bank and require prior registration with the bank in order to access an account through a particular mobile number and PIN. Let's take a look at the codes for various banks and microfinance banks (DTM) in Kenya.